Think of someone in your life who could use a wish-come-true. 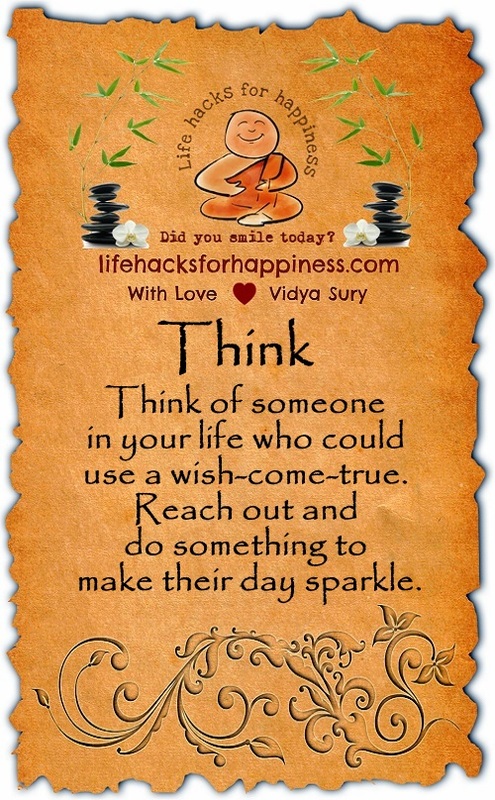 Reach out and do something to make their day sparkle. What a lovely post and tribute to your mother. I’m incredibly lucky to have a wonderful mother too. I value and appreciate every moment we share together – be that in person or speaking on the telephone.